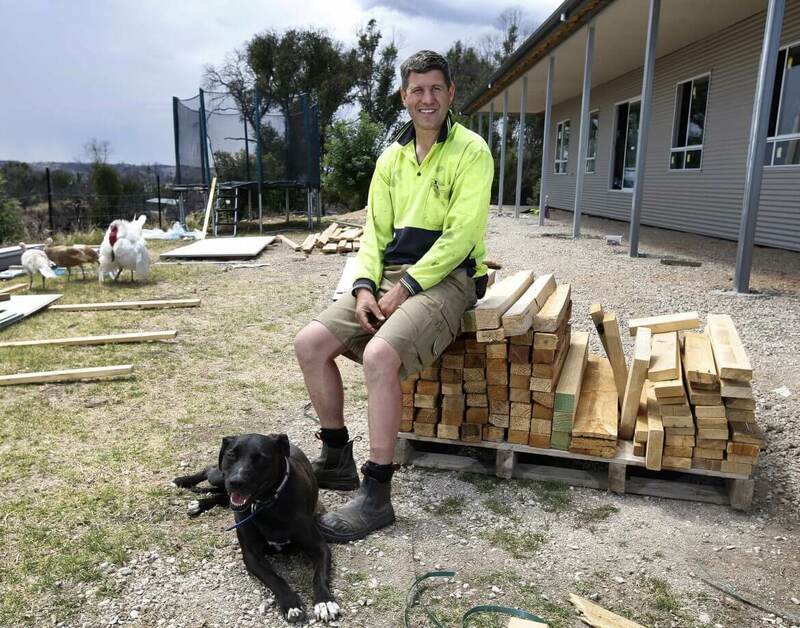 In 2014 Ben and his family moved into their property in the Adelaide Hills and immediately got to work making the most of the small areas of productive land. Their block, including the house, was not well prepared for a bushfire. The family spent much of spring doing their best to clean up around their property in preparation for the impending fire season. They all agreed that if there was a bushfire in their area, there bushfire action plan would be to take their bags and leave. On 2 January 2015 their bushfire action plan was put into action. Already on high alert due to the catastrophic fire danger rating they decided to leave. 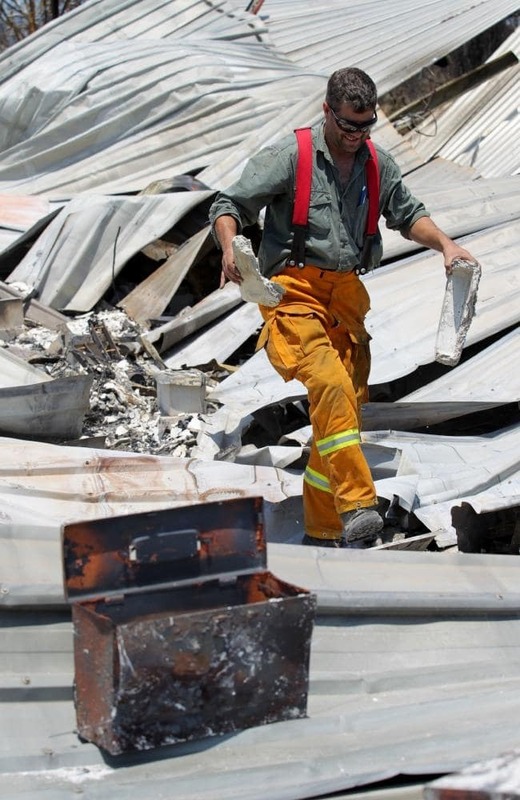 Ben was a CFS Volunteer at a local Brigade and went help fight the catastrophic Sampson Flat fires. His wife, Vicky, and the children packed their vehicle and left for the safety of Adelaide well ahead of the fire. Ben said he first knew his home had been destroyed when a neighbour, who also lost his house, rang him after fleeing the fire. “When he said his was gone I knew mine was gone too. Once the fire has got those legs it’s gone” said Ben. After the fire front had passed through Ben returned to the family property only to have his fears confirmed. The house was gone and only the shed remained. He said that although he had prepared his property by clearing trees and backburning vegetation, the fire moved too quickly and in too many directions through the gully and towards his family home. The decision to stay and rebuild was made early on, but it has been a long and demanding process for the whole family. Together as a family, they needed determination and resilience to cope with the makeshift living arrangements, in shipping containers on site, as they worked towards building and moving into their new home. Ben said, “We will rebuild a new family home on the same block and add bushfire fighting systems” he added “they may have stayed to defend if we had a suppression system”. Their home is now rebuilt on the same site, with experience and knowledge gained from bushfire. Sprinklers are on the roof and around the perimeter of the house, along with fire hoses and all family members have experience to use these. The CFS Foundation is proud to have been able to provide financial assistance to Ben and his family to help in the rebuilding process of their home and lives after the Sampson Flat fires. Ben and Vicky have both expressed their gratitude for the advice and support received from the CFS and others. Ben advises: “We have listened to the advice, attended events and reviewed information available and designed a house that is better suited to our environment and risks” He added; “We offered to host our local Christmas get together and combined this with a CFS briefing delivered by Penny Kazla in 2017. This was a great way to give back to the CFS and our neighbours. Penny did a walkaround of the house and immediate area and was able to use our system as practical examples, so our neighbours could benefit from our experience, to be better aware of the risks and see some practical steps that they could take to prepare their properties. “. “While many may view the fires as a devastating event we now feel that the fires and the rebuild have brought us closer; as a family, but also as a community. We have shared experiences, tears and tools during our recoveries. We have many more friends and are much more connected to Kersbrook as a direct result of this and it has been incredible to see this happen.